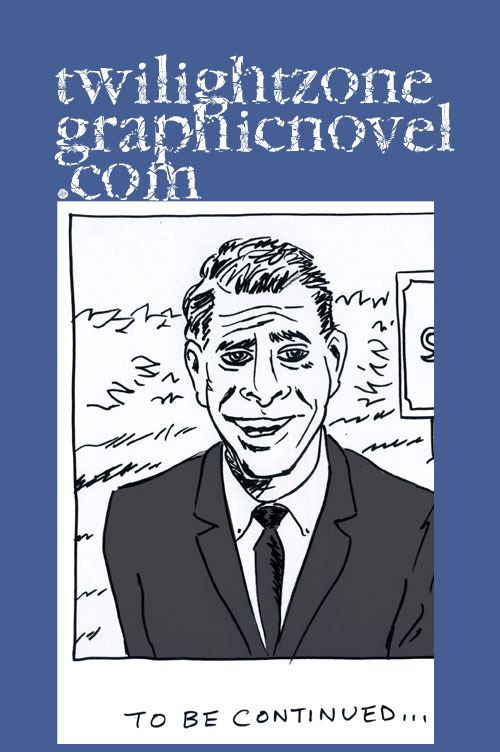 Box Brown is one of my favorite cartoonists. I admire his tenacity and how he has grown as an artist. 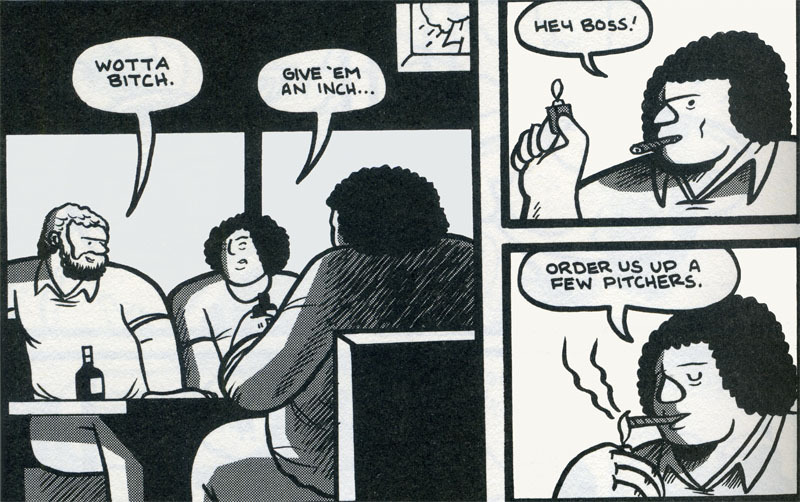 It all began with Brown’s webcomic, “Bellen!.” He went on to create his own micropublishing house, Retrofit Comics. 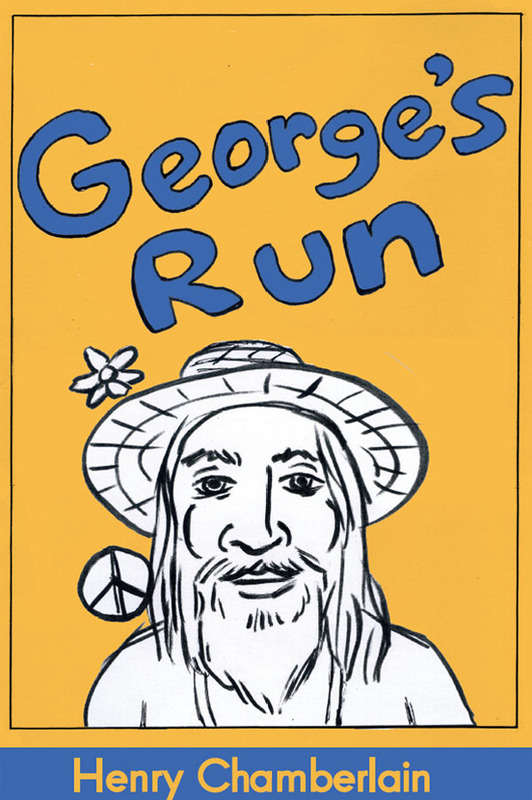 His latest work stretches from the confines of biography to become a fable with universal appeal. It is an opportunity to understand the magic conjured up by the grown-ups during childhood. 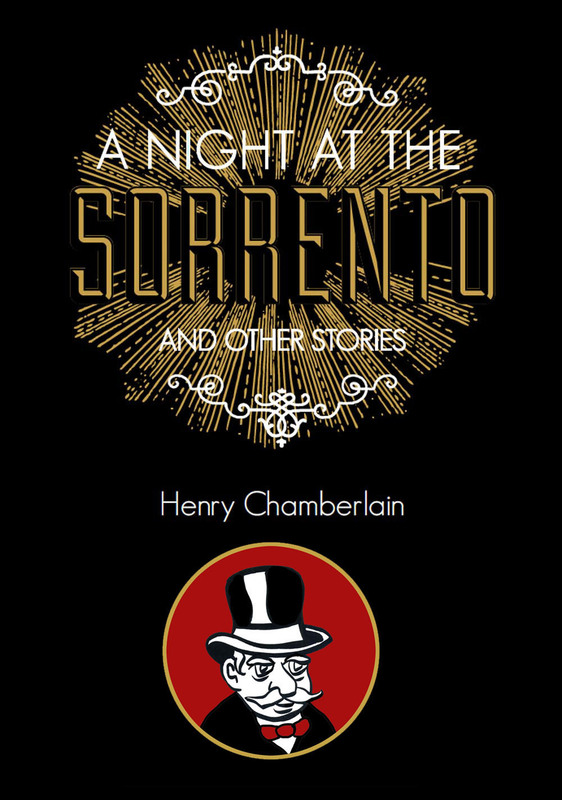 It is an opportunity to tell stories since there are so many in a world so full of sleight of hand. Theatrical. Brutal. Pro wrestling is easily both. Brown revels in breaking down the action, the anatomy of a match. Andre will be the good guy, the one who politely shakes hands. His opponents will be the bad guys. With the mildest touch, Andre smashes his opponents. He just can’t help himself. They go teetering over the ring. With a touch of poetry and magic, Andre Roussimoff is transformed into a god, all 7’4″ and 500 pounds. Brown stretches and pulls his main character as needed. He can cut him down in size or he can inflate him to beyond his already gargantuan frame. Andre has his small and his big moments. 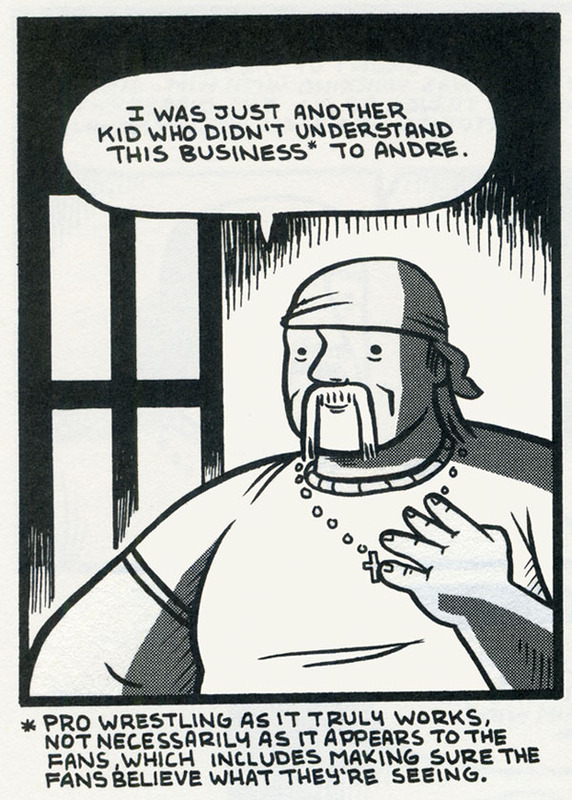 Andre seems to have been a good-natured brute who learned from his mistakes. 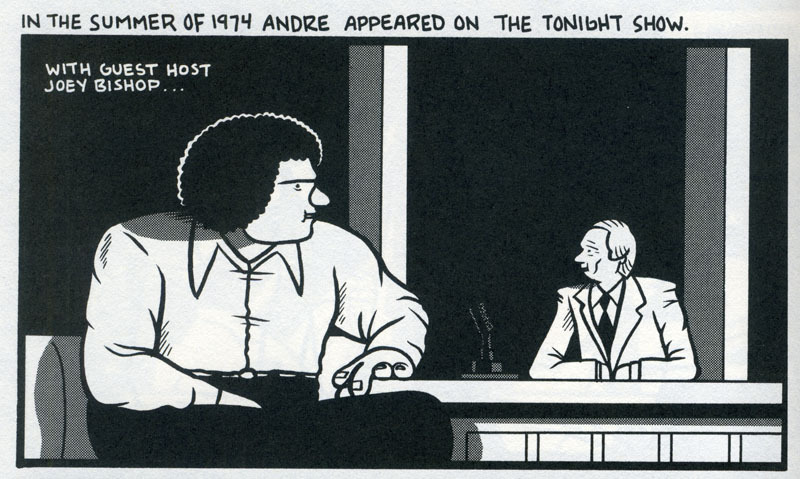 Ultimately, Brown builds a strong case in favor of Andre the Giant. Up to the end, he was loyal to his industry. Through it all, he proves a subject worthy to explore, a man worthy of being called a hero. In his world, he’s the boss but he’ll easily give that title over to anyone around him, ironically or genuinely. It seems the gentle giant did appreciate that, had the stars been aligned differently, he would not have ended up the brightest star of them all in pro wrestling. 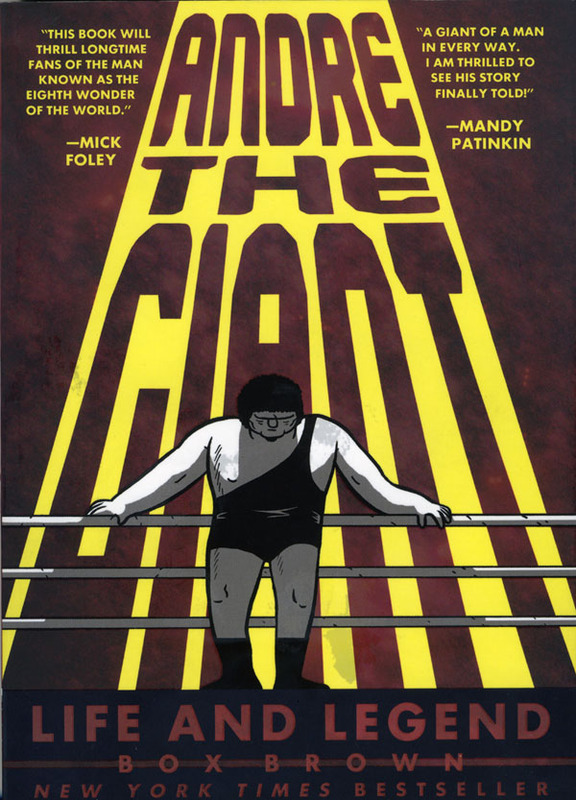 “Andre the Giant: Life and Legend” is a 240-page trade paperback, published by First Second Books and is available now. You can find it here and here.